How do you work with others? 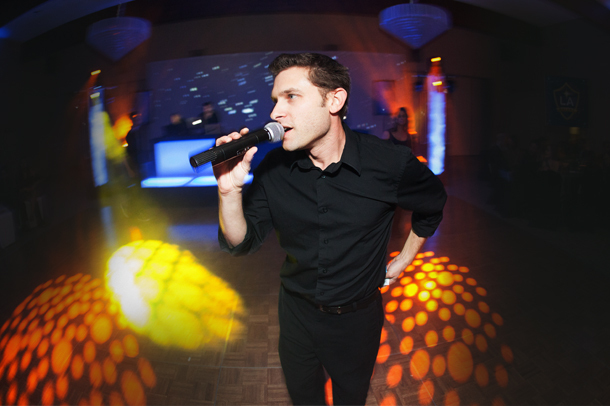 Our entire team of MCs, DJs, VJs, dancers, producers, and office staff are trained to help in all areas of an event. We fully understand the jobs and needs of the Photographers, Videographers, Party Planners and Caterers. We build a schedule weeks in advance for approval and preparation. We create moments for each member of your team to capture and highlight. We are amazing at improvisation and will always have a solution to unforeseen circumstances. Our teams will work with you for all song or event request you may have. You can ask us to contribute ideas or innovative concepts to tie in your décor and vendors. We are here to best serve our clients. You can see all the wonderful things our clients have to say about their experience with us over on our Client Testimonials page. We refer to a VJ as a Visual Jockey, not a video jockey. Anyone can play a music video or show a DVD with clips on it. We are designers, artists, and entertainers. What we do as Visual Jockeys is create custom animated decor that feels very classy, organic, professional, and exciting. Just as the DJ mixes music live, blending songs, samples and effects, we mix and produce a live visual set at your event to create a unique experience. We think big and want to make sure that every visual, much like your music, is always adding value to the moment at hand. You can learn more about Digital Décor and the benefits of a true VJ over at our Event Coaching Blog. What makes your DJ’s Different? A real DJ is an artist. Being able to create an emotional ride of excitement while continuing to blend songs for an entire dance set takes skill and talent. We don’t just play songs by slamming one after the next. Instead, we find the right time in the structure of a song to start mixing the next song in. 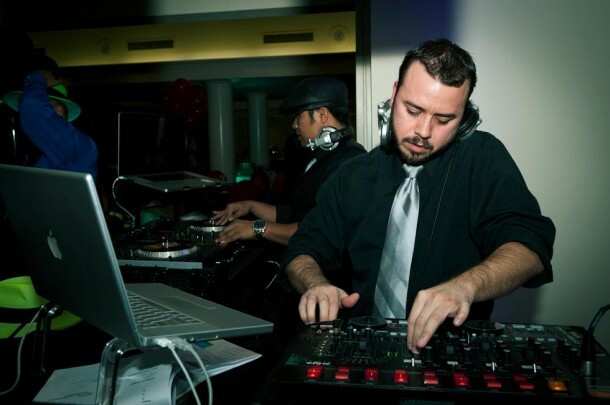 Whether we are dropping in samples and sound effects to push moments over the edge, or riding a song out with multiple tracks intertwined, our DJs will rock the party. We know how to properly read a crowd and love to be surprised by the enthusiasm of our guests. Being able to adapt quickly and change gears, while still maintaining the artistry of being a DJ is tough, but that’s what we do best! 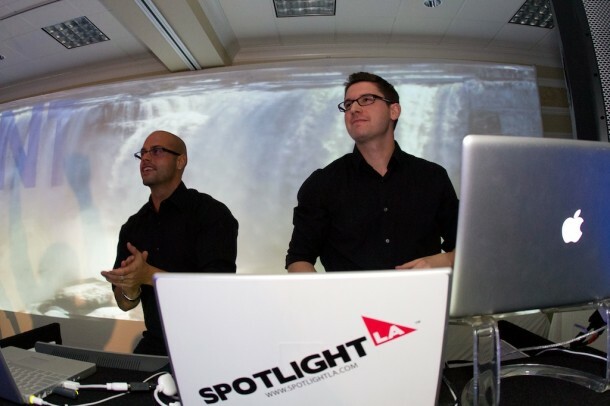 You can read more about the importance of having a great DJ on your event over on our The Spot Blog. What kind of event are you having? Please let us know the date so we can check our availability along with any other details.